The following motorcycle safety tips can increase your chances of walking away from a Knoxville motorcycle wreck. Before taking your bike out for a ride, test all the lights, brakes and turn signals. It is also a good idea to check the oil and fuel levels. If it has been awhile since your bike was used, a more extensive look-over is advised. Lubricate the chain and adjust it to the manufacturers specifications. Check the cables on the motorcycle to make sure that they havent become worn or frayed. If it has been a long time since you operated a motorcycle, it may not be a bad idea to consider taking a refresher rider-training course. A high-quality helmet could be the difference between a traumatic brain injury or fatality and a less serious injury. Studies have proven that helmets reduce the risk of a neck or head injury by more than 30 percent. Besides, it is illegal in Tennessee to ride a motorcycle without a helmet. Road rash is one of the leading injuries in motorcycle wrecks. Road rash happens when a biker is thrown from his or her bike and slides across pavement, causing abrasions and scrapes along their skin. Tough leather can help to protect an accident victim against road rash injuries. In all types of weather conditions, durable, non-slip gloves can protect a motorcyclists hands. Since motorcyclists operate the bike with their hands, it is important to keep hands protected. Additionally, in the event of an accident, a good pair of gloves can help a biker brace for a fall. When riding a bike, it is important to wear sneakers or boots that cover your ankles. Not only will proper footwear protect you while riding, they can prevent injury if you find yourself involved in an accident. In Tennessee, if you are riding on or operating a motorcycle that is not equipped with a windscreen, you are required by law to wear eye protection. If your helmet does not come with a face shield, it is a good idea to wear goggles or glasses that have safety lenses to protect your eyes. Not only will goggles protect your eyes in a wreck, they can also keep your vision clear of dirt, bugs and other debris kicked up from the road. Be aware of your motorcycles limits and do not attempt to push your bike beyond its capability. Be careful to avoid the blind spots of other drivers. Motorists are not always looking for or are aware of a bikes presence. Follow the posted speed limit. Dont drive recklessly: dont tailgate, dont weave through traffic and dont drive on the shoulder of the road or between lanes. 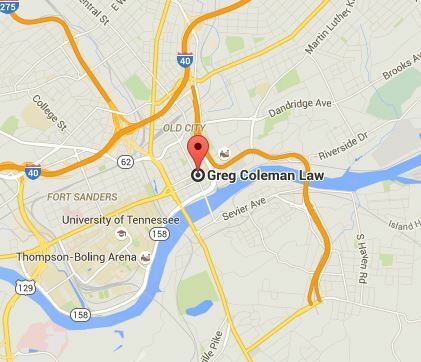 Tennessee motorcycle accidents are traumatic for all parties involved. While the safety tips on this page are intended to keep bikers safe, sometimes an accident is unavoidable. If you or a loved one has been injured in a motorcycle accident, due to no fault of your own, you may be eligible to file a lawsuit in order to seek compensation for losses related to the wreck. Accident victims may be able to recover damages from medical bills, lost wages, property damage, and pain and suffering, among other losses. For more information on the legal rights which may be available to motorcycle accident victims and their families or to schedule a confidential, no-obligation consultation with an experienced motorcycle accident attorney at Greg Coleman Law, simply complete the Free Case Review form on this page to get started.